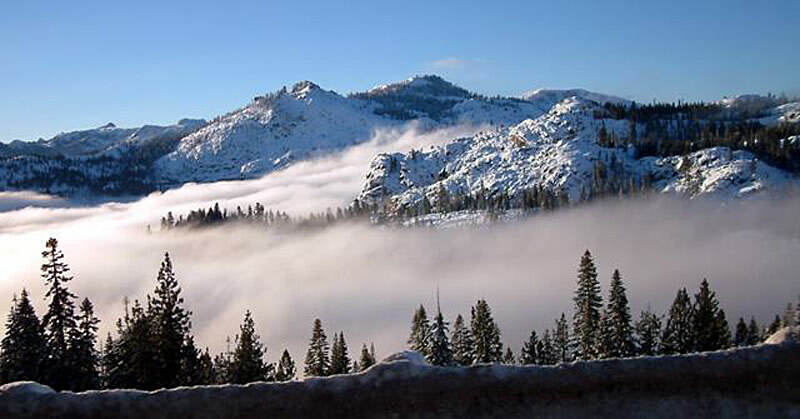 Reaching Humboldt Sink in 1844, the Elisha Stephens (sometimes spelled Stevens) Party confronted the same dilemma that the parties of 1841 and 1843 had faced – namely, how to cross the forbidding Sierra Nevada. At that critical juncture, they met the Paiute Indian chief whom they named "Truckee." He provided directions on how to follow the Truckee River to a pass over the Sierra Nevada (usually known as Donner Pass but more correctly as Stephens Pass). After many hardships, the Stephens Party made it to Sutter's Fort, thereby completing the opening of the first overland wagon route to California. 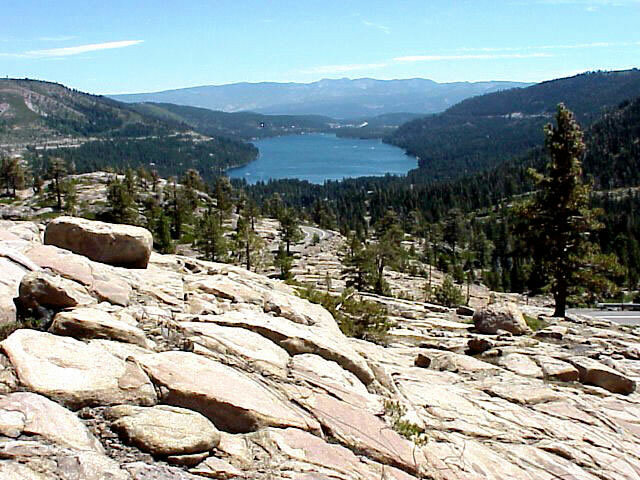 Improvements in 1845 and 1846 (via Dog Valley and Roller Pass) on the first route over the Sierra Nevada would turn it into an established wagon trail. Later, this trail would be transformed into the Lincoln Highway, Highway 40, and finally today’s Interstate 80. Above Donner Lake on the Truckee Trail. 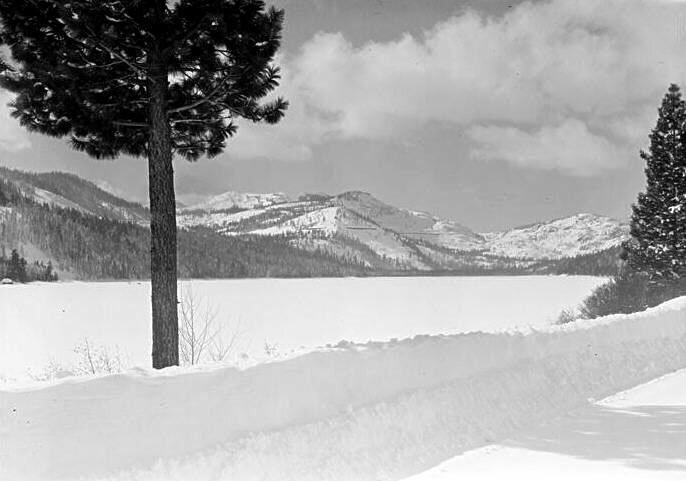 Donner Lake in wintertime. 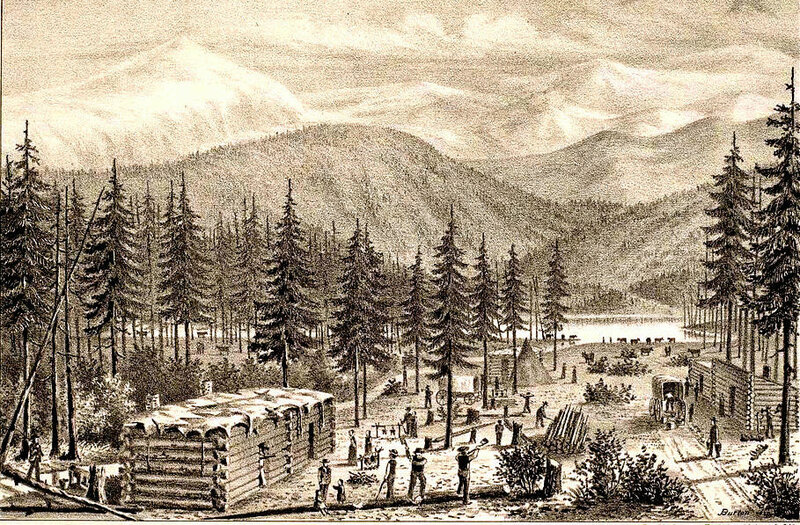 A depiction of the Donner Party’s winter camp published a few years after the event. 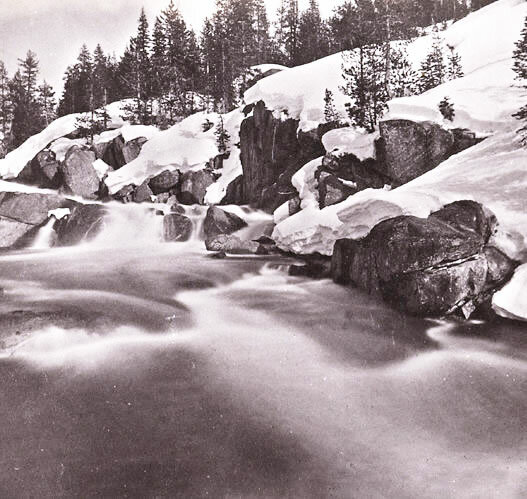 Donner Lake in the 1880s. The lake must have looked like this to the early emigrants who passed this way. 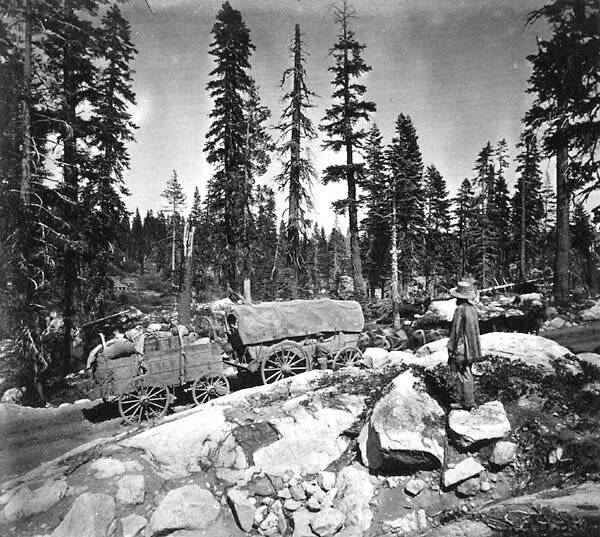 Wagons struggled over the summit of Donner Pass in the 1860s. Donner Lake today from Donner Summit. 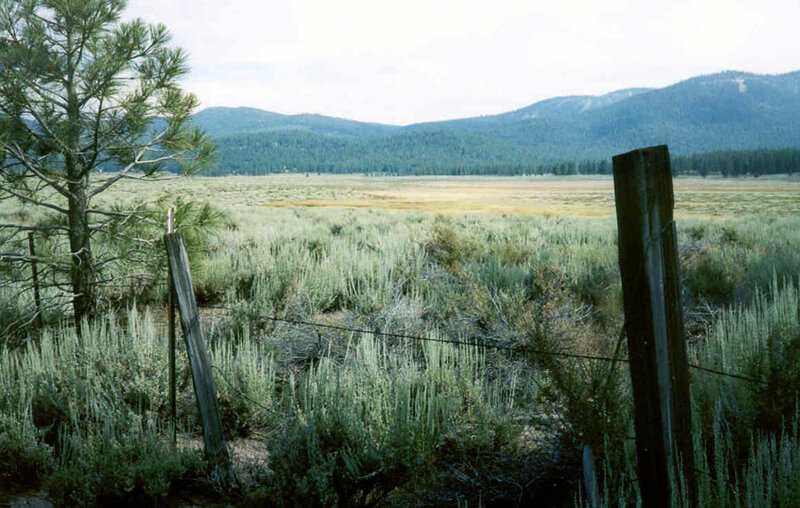 Martis Valley near Truckee, California. Hampshire Rocks, near Donner Summit on the Truckee Trail. These rocks were named “Hampshire Rocks” because the granite reminded the emigrants of rocks they remembered from New Hampshire. 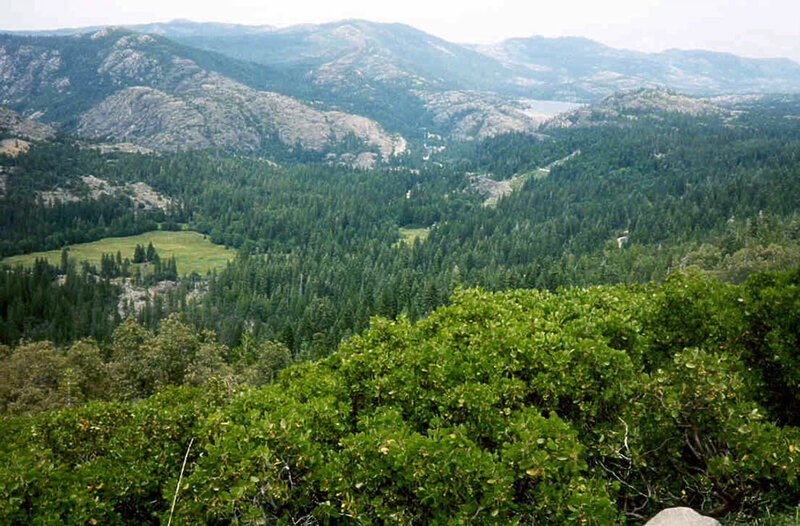 Emigrant Gap and Bear Valley along the Truckee Trail.